They had me at pig rabbit…or wait…was it the rabbit pig? The hybrid lovechild doll born out of Tae Kyung (Jang Geun-Seok) and Mi-Nam’s (Park Shin-Hye) puppy love in the hit drama You’re Beautiful had me looking at the Hong Sisters in a fresh new light. It was just this past winter when I was first introduced to their sweet and often zany sense of humor while watching My Girl, starring Lee Dong-Wook and Lee Da-hae, while laid up in bed with a cold for 3 days. Although I thought the rom-com to be cute, sassy and funny, it wasn’t until You’re Beautiful and My Girlfriend Is a Gumiho that I was hooked…line and sinker. I mean come on, how could one not be hooked after Shin Mina’s first outburst of Woong-ahh~! With the recent completion of their latest MBC hit drama, Best Love, it seems as though the sisters have done it again. The adorable paring of Dokko Jin and Dding-dong will forever remain on my list as one of the best couples Hong sisters have ever created. Even with Best Love now over, the viewers are still riding the aftermath of the “Dokko wave” and don’t seem to want to let go of the drama. The ever-busy Hong sisters sat down for an interview to speak about their latest mega hit, and what other projects they may up their sleeve for the future to keep feeding our addiction for the dramas we just can’t seem to get enough of…so let’s get started! 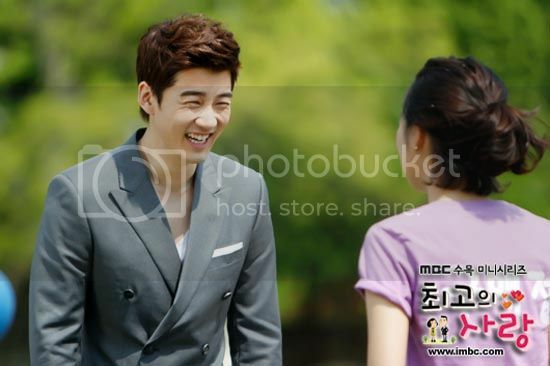 The other man contending for Gu Ae-jung’s affections in this love triangle, Yoon Pil-joo (Yoon Kye-sang), was something else the sisters wanted to do differently. Instead of having the character be a chaebol (which is so often done), they wanted Yoon Pil-joo to be far more accessible. An oriental medicine doctor who is good-looking, kind and successful, going up against a famed top star like Dokko Jin (Cha Seung-won) to win the love of Gu Ae-jung makes this love triangle a bit more realistic as well as intriguing. However, the love story between Dokko Jin and Gu Ae-jung isn’t the only focus of the drama. Even though an important part of the story is whether or not the love between the two characters will bloom, it’s also to see how the populace within the drama will receive the news of such an unlikely pairing. Due to the negative image Gu Ae-jung has been dealing with, it was very possible that the new lovebirds could have been on the receiving end of an endless number of anti-fans, instead of the adoration they were ultimately given. Thus Gu Ae-jung and Dokko Jin have risen to join the ranks of other beloved couples created by the Hong Sisters, beginning with their debut project, Delightful Girl Choon-hyang. The sisters reveal that there is a surprise hidden celebrity in its own right in the drama that the fans may not have been aware of, and that celebrity is…drum roll please….뽀로로 (Pororo)—a megastar that just may surpass even the mighty Dokko Jin in popularity. The penguin character which got its start in a children’s program has received a cult-like following, and became comic relief in more serious scenes that needed to be lightened. Pororo made his first appearance on the show in a scene where a lie detector was brought on by Gu Ae-jung’s adorable nephew Hyun-kyu, a.k.a Dding-dong (Yang Han-yeol). With the scene potentially becoming too serious in tone, the Hong sisters thought to lighten it by introducing a comedic element, and with writer Hong Jung-eun’s son being such a fan of Pororo, the decision for the cute penguin to make a cameo was easily decided. Since then, the sparkling lie detector became his go-to tool when Dokko Jin needed some help him getting Gu Ae-jung to reveal her true feelings towards him. The Hong sisters have proved time and time again that their witty ideas work in drawing the audience deeper into their spells. So whether it’s through the use of children characters like Pororo, or turning their lead actresses into mystical characters, I say…bring it on. Can’t wait to see what they’ll do with their next project! Cannot wait to see their next drama! The Hong sisters are awesome. I love their work and look forward to what's next. I love their work. May they create more dramas that will touch our lives in some way. Thanks for this article. AT first , You're beautiful wasn't a hit at rating! Jang Geun Suk made excuse for this ! (9 or 10 % only..because of IRIS) ...with gained popularity with time and oversea viewers! I don't think 'You're Beautiful' ever got "crazy high" ratings, but rather, was one of those "mania" dramas that are talked about, loved, and considered extremely successful despite moderate/good percentages. I already saw 4 of dramas they wrote and so far I love them. Hope next year there is another drama of them. Hong sisters are so amazing! They really know how to write memorable and heart warming dramas!! Can't wait for their next project! i'm a huge fan of the Hong Sisters!!! and one of the crazy fans of You're beautiful...GoMinam and Hwang Tae Kyung will always be my beloved couple!!! i look forward to more Hong Dramas!!! thanks!!! I was able to catch the first episode of Ikemen desu ne.. and sadly I have to agree with you. although I couldn't fault Tamamori Yuta (he plays Tae Kyung Japanese version) because Jang Geun Suk portrayed The-almighty-Hyung-nim-Hwang-Tae-Kyung into perfection and it's not his fault if he can't re-create perfection because HOW CAN HE? anyhoo.. I'm not closing my doors on Ikemen desu ne, because I really like Japanese doramas too.. after all they gave me Hana Yori Dango, Nodame Cantabile, Hotaru no HIkari and Hana Kimi to boot! so Ikemen desu ne, ganbatte!!!! I more pick on the fact that the writing is sub par. Jokes were cut out of the Japanese version, but none were put to replace them. This made what was a laugh for me 6 minutes into YAB, a drab fest for IDN. And I like both media enormously--I even get the Japanese humor. For example, there is the scene with the statues and Mi Nyeo (Not Minam yet) and the statues are half naked, so she wrapped a towel around their midsection. This was hilarious. But in the J-version, this was replaced with her scrubbing a bust... nothing to replace the joke from before. Even the opening sequence where she's suddenly hearing a band in a church was cut. I don't mind rewriting... I don't mind remakes. I mind that something that is supposed to be a comedy cuts the humor completely. What's the point in that? IDN, doesn't do half of the witty and sometimes off the wall humor of YAB. It just made me realize, no one can top the Hong Sisters. No one. I shall worship forever. They are totally brilliant and creative. They deserve all the accolades. Oh, I really, really, really LOOOOOOVE both of Hong sisters!!!! Both of fabulous Hong sisters made me sooo fall in love with any gooooood & awesome dramas & I felt like I need MORE MORE MORE Hong sisters' dramas in the future!!! Honestly, I am REALLY fan of Hong sisters & I will be looking forward to their breathtaking dramas by both of them!!! Thanks for translating this, sassychef! I love the Hong Sisters! They really know how to make a drama memorable! i love all the dramas they wrote, watched all of them but I gotta say MGIAG pulled on my heartstrings. they're just the EPIC sisters.. Since we're on the topic of the Hong Sisters, I was wondering if anyone over here at Team Dramabeans has any plans on checking out the Japanese adaptation of You're Beautiful. It would certainly be interesting to see their take on the drama. So great finally getting to see them. the Hong Sister is the best with their rom-com genre. It really makes me laughed and cry. They are the quintessential dream team. Love 'em. hahaha... i find it amusing that the outburst of 'woong ah' is sth obsessed about..
i called my very very very closed guys that way from 10 years ago. 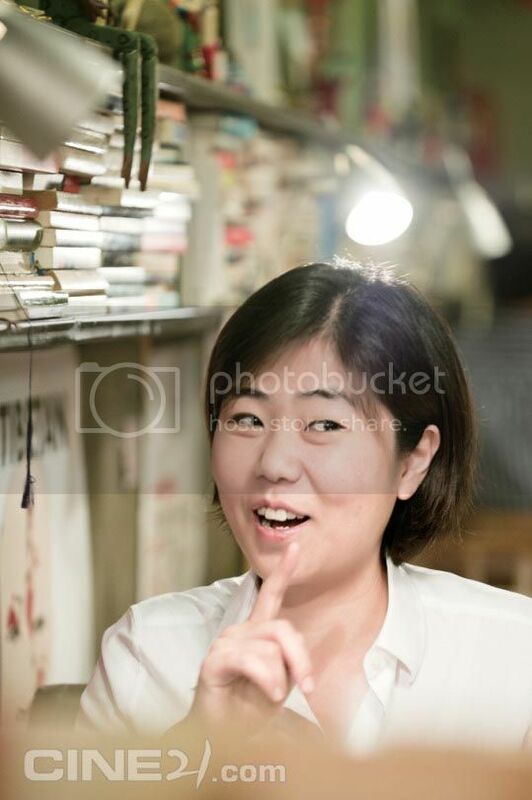 The Hong Sister's characters always made good and lasting impression on me. They are so well written and it does help that they always found good actors who are able to humanized and breathe life into the characters that they make. Thank you very much Hong sisters for giving us this remarkable dramas!!! their new kdrama is called "the king"
Every drama the Hong Sisters had made are all very good dramas. I had seen and love most of them, I dunno if I wasn't able to watch others that I hadn't known. But so far, from Sassy Girl, Chun-yang, My Girl, YAB, Shining Inheritance (not sure about this one), Gumiho and now The Greatest/Best Love. I did love watching them. I dunno how they do it but they just deliver to us really, really good dramas. Best Love, my initial expectation was that of a sassy rom-com. I was so drawn into it as I watch that it was not just any ordinary rom=com. I never imagined I could be moved by a drama, be moved so much that I could feel a certain thug in my heart on certain scenes that I would rewatch. This is a drama where I cried and on the height of it I would suddenly with the hilarity of the situation. One of the scenes that I really loved in Best Love... when Dokko Jin is hugging Ae Jung. It was so full of tenderness and love that it made me cry. That was after the incident when he smashed the director's face. As what QD mentioned above... it is so close to perfect. The musical scoring is just so great. How they integrate the songs in eacch scenes is just so awesome. Best Love OST will never leave my cp's playlist. I think I would never tire of watching Best Love, never miss a part if I rewatch it again. Oh and for Dokko Jin is so handsome while walking out of the theater's VIP room. I dunno if it's just me but he just looked so cool and so handsome then. Thank you Hong Sisters for giving us such wonderful dramas. Shining Inheritance is not a Hong Sisters drama. try to check out Hong Gil dong and Fantasy couple. they are awesome and i love their dramas so very much! i am grateful for their wonderful spell weaving in their stories and the poignant moments as well as their humor! and it seems to be perfect casting for each drama as well! i fell hard for their stories with gumiho, and now best love! cannot wait to see what their next one will be like! I used to really love their stuff but their past 3 dramas haven't really grabbed me. In fact, i've yet to finish them. I feel like they've been recycling the same formula. I would love it if they did something different like Hong Gil Dong again. Hong Gil Dong is my favorite from them, and I don't even LIKE sageuk fusion! These writers make me happy and make me smile. Watching their dramas is like falling asleep and having a wonderful pleasant. dream from which I awaken feeling rested and stronger afterwards. I think they are truly greatly gifted and talented. I am purely excited to see what they got for their next drama! & I;m sure it is going to be a success ! I have so much respect for them. These are writers I trust. I love these two ladies' work. I absolutely loved My GF is a gumiho and Coffee prince. The Hong Sisters didn't do CP (the writer was Lee Jung Ah). 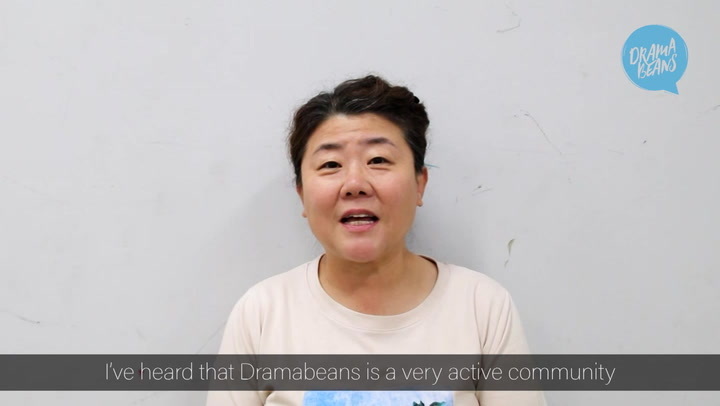 Thank you!Thank you!Thank you!Thank you!Thank you!Thank you!Thank you, DRAMABEANS!! Been looking forward to a Hong Sistsers interview for a very long time!!!! The 1st Hong drama I watched was HGD - it was borderline bad. The writing was only so-so and that wasn't helped by the subpar acting (Sung Yuri, most of the side characters - esp. the ones who were supposed to be the "humor", just awful). This was also the 1st time I watched Kang Ji Hwan in anything and wasn't impressed (kept resorting to using the same mannerisms and expressions which got tiresome); luckily, also caught KJH in "Coffee House" where he does quirky and angry really well (let's not talk about LTM). Best part was actress Kim Ri Na who, unfortunately, doesn't seem to have done anything since 2009. So I went into MGIAG w/ some trepidation (watched it mostly for SMA - who is enough for me to get over my dislike of LSG) and was pleasantly surprised. The Hong sisters did a great jon w/ the character of Miho and depicting how the relationship changes btwn the 2 leads. The rest of MGIAG was a bit weak, but the strong depiction of the relationship btwn the 2 leads was enough to overcome the weaknesses. What can I say about BL? As much as I liked MGIAG, BL was simply a better all-around rom-com. They did a much better job developing the secondary characters and the 2nd love interest. Tried "My Girl" b/c of all the chatter about it but couldn't get past the 1st few eps. The dialogue felt stilted, the situations forced and the humor was off, way off (plus, LDH's bad acting didn't help things). Based on what I have seen of the Hong Sisters dramas, they have come a long way and have only improved over the years. OMG. i love them!!! Love couple/ trouble and best love!! Hong sisters are awesome! I've watched all Hong sister's drama..Starting from Sassy Girl Chun Hyang, My Girl, Couple of Fantasy, Hong Gil Dong, You're Beautiful and My Girlfriend is Gumiho. So far, i really love My Girlfriend is Gumiho. My favorite K-drama ever! Will be watching The Best Love soon after finish watching City Hunter and Lie To Me. I hope The Best Love won't disappoint me. Best Love is the definition of awesome! Just roll with the insanity because there's so much heart-warming stuff too. I've always been a fan of the Hong sisters!! YAB is my most favourite of all with Best Love next and My Girlfriend is a Gumiho. I do hope they write more soon. The oldies like My Girl and Delightful Girl got me hooked on to K-Drama. Looking forward to more good ones from the Hong Sisters. The Hong sisters never fail to surprise. They seem to have a winning formula for all the dramas they have written. They may be rom com but there's something so unique to each of them that it sets them apart from the norm! My fav drama of all time would definitely be MGIG! :D at first I was abit hesitant when I read the preview.. I was like HUH? it was so not normal(?) but since it's seung gi, it's a must watch!! :D every episode ended with a cliffhanger and it just fed my addiction.. I cried so much during ep 3 and 4.. Never cried so much for a drama before.. And that was so early in the drama! Hahaha :D I knew I was a goner! Who cared if Gumiho clashed with my exams then! And more recently BL was really impressive. Initially I was kinda disappointed in the casting, maybe cos I was expecting a younger cast and having watched gong hyojin in sangdoo, I didn't think she would suit a rom com. But CSW was there to save the show for me.. So I gave it a try!! Dok Go Jin will forever remain as the best character ever written and CSW's portrayal was just EPIC and flawless. Don't think anyone could have played DGJ as well as he did. I remember suspecting whether CSW's real speaking voice was that of DGJ. The Hong sisters have always managed to pull off something so unexpected yet pleasant.. Hope they'll continue writing more dramas for a long time to come!